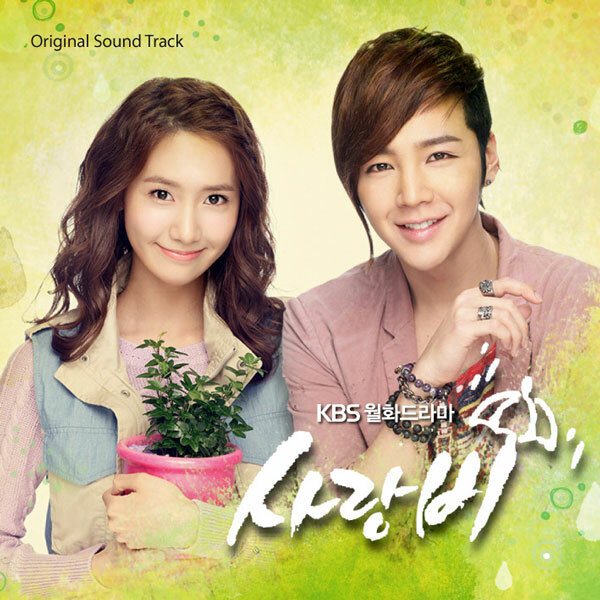 The highly anticipated 3rd single OST (original sound track) for KBS’s Korean drama Love Rain is released on April 10th, 2010. Love Rain third single has the song title of Because It’s You (그대니까요). Because It’s You is sang by Tiffany Hwang Mi-Young (티파니 황미영) of Girls Generation (SNSD 소녀시대). The plaintive and mild voice of Tiffany shows the regret at the end of the love. The song first made its debut in the drama before the release of the OST, with fans have been yearning for the music source of the song. The song is the sister song to the song of Love Rain sang by Jang Geun Suk, but an adjustment in the arrangement was made. The song of Because It’s You by Tiffany adds a sad atmosphere to the Jang Geun Suk version which exudes fresh atmosphere. Love Rain expresses the excitement and uneasy of falling in love, while Because It’s You expresses the sadness in love. Listen to Because It’s You (그대니까요) at YouTube. 점점 멀어져가는 사랑이 지키지 못할 말들이 날 울게 하네요. 슬픈 운명이라도 그대를 보낼수 없어 사랑해요..그대니까요..
cheomcheom meo-reojyeo-ganeun sarangi jigiji mothal maldeu-ri nal ul-ke haneyo. seulpeun un-myeon-girado keudaereul bonael-su eop-seo sarang-haeyo..keudaenikkayo..
What’s to be done? What’s to be done? I love you, because I love you, what’s to be done?